I am looking forward to another trip to Liberia leaving Canada January 8th. This year I am blessed to have several very talented people joining me. 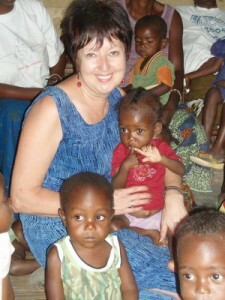 My heart is stirred once again to be a voice for the poor in Liberia, West Africa. These are the people I have given my life to since first seeing the poverty in 2003. Please pray as we go back this coming January. This year Tim Moores of Edmonton, Karen Aerssen, of Chatham, & Carol Jones of Kelowna are coming with me! Without a doubt God has hand picked this team and we look forward to seeing what the Lord has planned for all of us. I leave thinking I will change Africa, but I am always amazed at how the Lord instead CHANGES ME! I am delighted to have Tim Moores from Edmonton join us going over to Liberia this January. He is very inventive, with a creative mind and ability to see opportunities and build on them. I believe he will have some workable ideas for our college students as we begin to transition them towards independent living. Provison of Hope has invited him to have discipleship training sessions with our students and leaders. Tim has a passionate heart for the kingdom of God and walks in true sonship with the Father. We were introduced by internet through some of the Liberian people Tim has been working with at the Buduburam camp. My heart has really been touched by how he has come to serve and volunteer his time to set up this website. God bless you Tim! Karen Aerssen and I met at an ETHM&S Conference in Winnipeg. It was there that she expressed her desire to work with micro loans in developing nations. Already she has invested in several small businesses in Liberia. I look forward to introducing her to some of these people who have benefited through these micro loans. This is working to help families support themselves. Liberia needs people like Karen who are willing to come and invest in business. Karen recognizes that The Master has an assignment for each of us and she is seeking to live out that assignment with a servants heart. One of the ways she is doing that is through involvement in short term missions. Carol Jones joins us from Kelowna, BC. Glynn and Carol have been long time sponsors of Arthur Gaye one of our Grade 12 Students who lives at My Father’s House. Can you imagine the joy that overwhelmed Arthur when she phoned him on his birthday, November 15th, to say ” I am coming to see you, with Mom Karen” Carol and Glynn have helped in many of our projects in Liberia and especially in the up keep at My Father’s House. Carol comes with a heart of compassion for the underprivileged. She will do computer training with our older students, and assist me with updating profiles on all our children and youth. WE NEED YOUR PRAYERS SO WE CAN GET ALOT ACCOMPLISHED IN A SHORT PERIOD OF TIME. I think I have written you before, we are in Iowa, our daughter married Jason’s son Josh, we share a common granddaughter. I just rec’d your letter and will pray for hearts to be touched for Christmas. I make soap, when you go over, ask if any of the widows remember me teaching them to make soap at Buduburam Camp in Ghana! I wonder how many may be there now. I am so busy, pray for me please, in college at 58, with presentations on Tues. and a huge snowstorm promised in central Iowa! I am at my stress max, pray for finals please for me and daughter Gracie also in college. We have a request- Pastor George in Ghana at the camp needs someone to bring over a computer. How God can do this, only He knows, but would any of your group be willing to take it over? Are you stopping in Accra? Someone could possibly meet you there. Larry and I stayed at the Ultimate Hotel in Accra. My soap ministry donates all profits to the orphans and widows, you may pray for me that God will continue to send buyers, and strength to continue this ministry. May God richly bless your team and trip, it is a valuable work you do. I like your web site.